Start with proven Citation systems. Add intelligent innovation, class leading performance, a spacious cabin and standard equipment that steps above midsize expectations. All of this at a price for performance other jets cannot match. Feel it as soon as you step into the wide, stand-up cabin, the Citation Latitude is a different kind of aircraft. With the push of a button, electrically operated stairs lower gracefully to the ramp and back without intruding on your cabin. The baggage compartment can accommodate all of your luggage. Seat up to nine passengers and take advantage of the short take-off and enjoy the exhilarating climb. 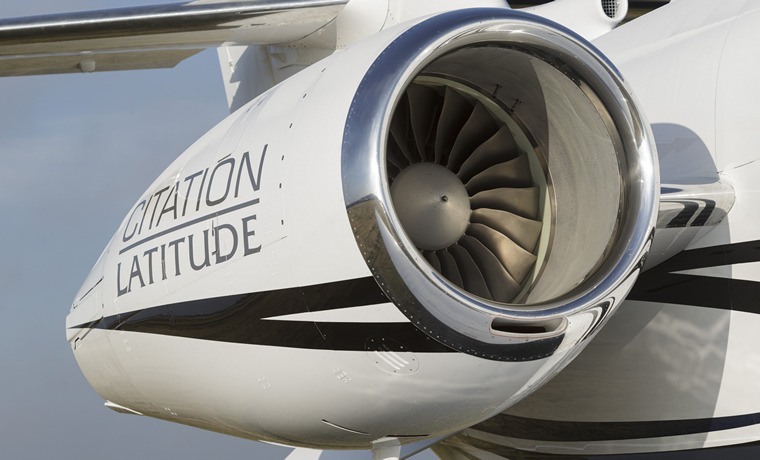 Feel it as you step into the Citation Latitude. 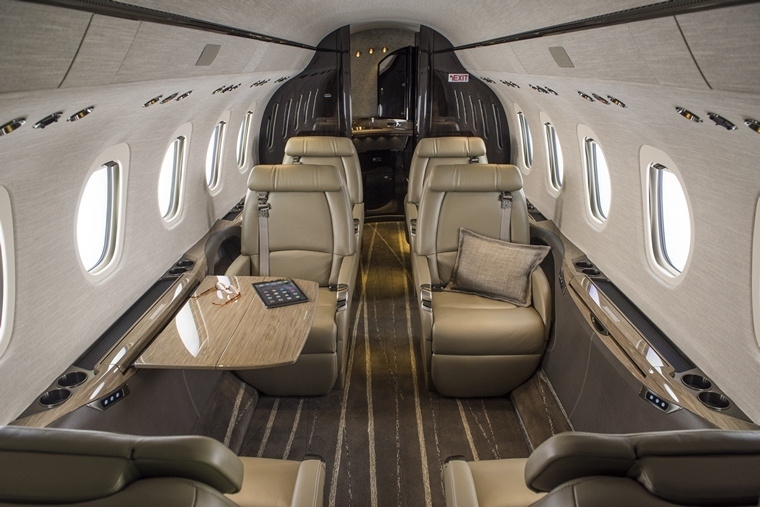 The Latitude is first business jet to combine a wide, flat-floor, stand-up cabin with a midsize price. Enjoy a wide, stand-up, flat-floor interior, experiencing a comfortable cabin altitude of 5,960 feet while cruising at 45,000 feet. The Citation Latitude merges beauty, comfort, range and power to create pleasurable, productive business travel that transcends midsize. Stay connected and be productive with the state-of-the-art cabin management system. Passengers control individual cabin features and entertainment on their personal mobile devices. The class-leading Wi-Fi comes standard and allows complete control of digital media, individual interactive moving maps, satellite radio and Blu-ray players. Powered by twin Pratt & Whitney PW306D1 FADEC controlled turbofan engines deliver the Citation Latitude's impressive performance and have you at cruising speed and altitude quickly and smoothly. Then sit back, relax or work for the next 2,850 nautical miles. 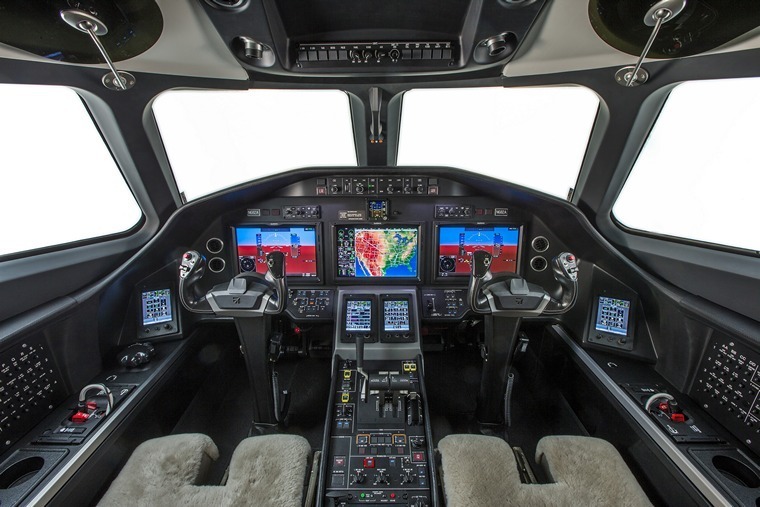 The Citation Latitude flight deck, centred around Garmin's G5000 avionics, is designed to provide pilots with the comfort and information they need for a reliable and efficient flight. Pilots can take command of the aircraft's robust navigation, traffic, surveillance and communications systems with ease. In addition, the integrated flight management system provides extensive navigation and flight-planning as well as en-route, take-off and landing performance information. The three 14-inch landscape flight displays can function independently as a primary flight display or multifunction display. The displays also function in multi-pane mode, the centre pedestal for MFD control and two additional panels control each PFD. Pilots can customize displays via the touch screen control panels, organizing and prioritizing the flight data presented. The Garmin Synthetic Vision Technology (SVT) system offers a virtual-reality view of terrain, obstacles, traffic and runways-everything beyond the widescreen. Using the terrain-altering database, pilots get a realistic picture of what lies beyond the nose of the Citation Latitude. Garmin SVT enhances pilots' situational awareness by creating a virtual depiction of group and water features, obstacles and traffic, even in a solid IFR or night time VFR conditions. 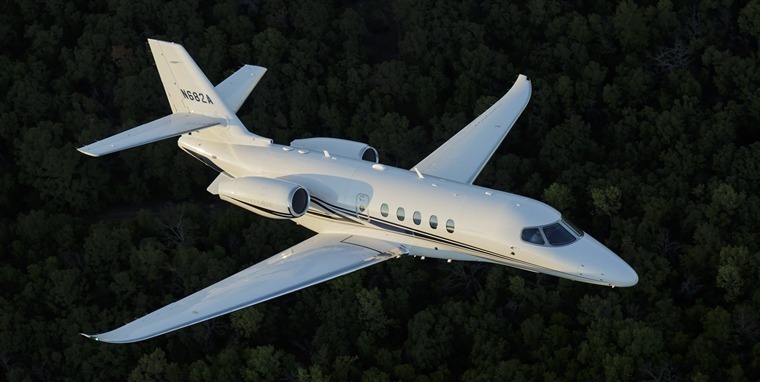 With the Citation Latitude Textron Aviation brought smart innovation to the market. Leveraging the latest technology Cessna and Beechcraft account for more than half of all general aviation aircraft flying. From Citation jets, the world's best-selling business jets, to the class-leading King Air and Caravan turboprops to the Cessna TTx, the advanced piston performer, Textron Aviation leads the industry with the broadest product portfolio and the most capable aircraft service network in the world.